Taking care of our hair is an endless struggle. We want to style it? Heat damage. We want to air dry it? Frizz. We want to color it? Breakage and fading. We love playing with different hairstyles, cuts and colors, but wow, it can be a pain. Even going a day or two between washes doesn’t always help, with some dry shampoo making our locks greasier than ever. 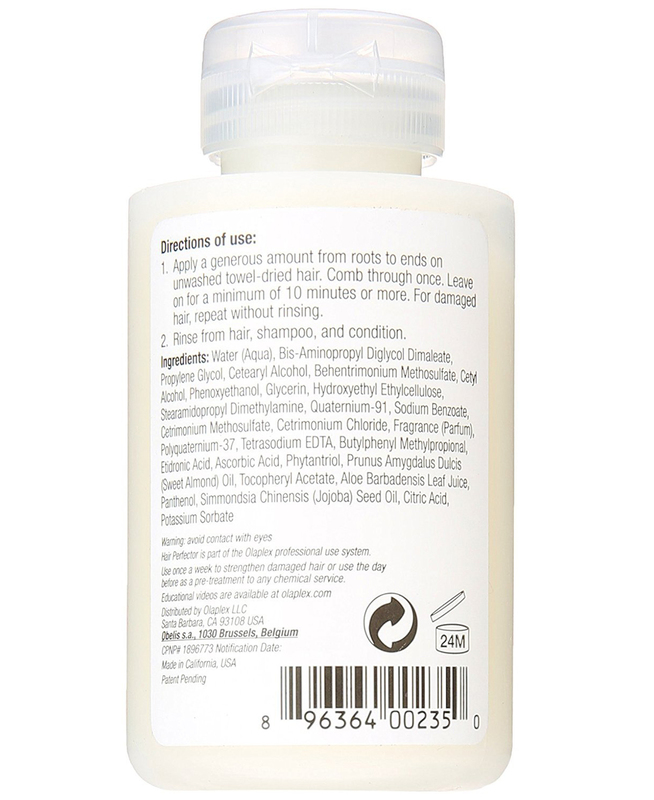 We need a treatment that has benefits beyond those of our shampoo and conditioner! That’s why we checked out the hottest thing since sliced bread, — or, in this case, beach waves — in hair care. Shop With Us: Macy’s Is Having an Epic Sale — Shop Deals on Calvin Klein, Michael Kors and More! Olaplex Hair Perfector No. 3 Repairing Treatment is an at-home game-changer for use between salon visits for cuts and blowouts. It’s a bond builder of professional quality, and it claims that its patented technology can provide structural repair on every type of hair. Hi, we need that. This “Haircare Science” is part of a multi-step system, but shoppers say noticeable results appear from just No. 3 alone! 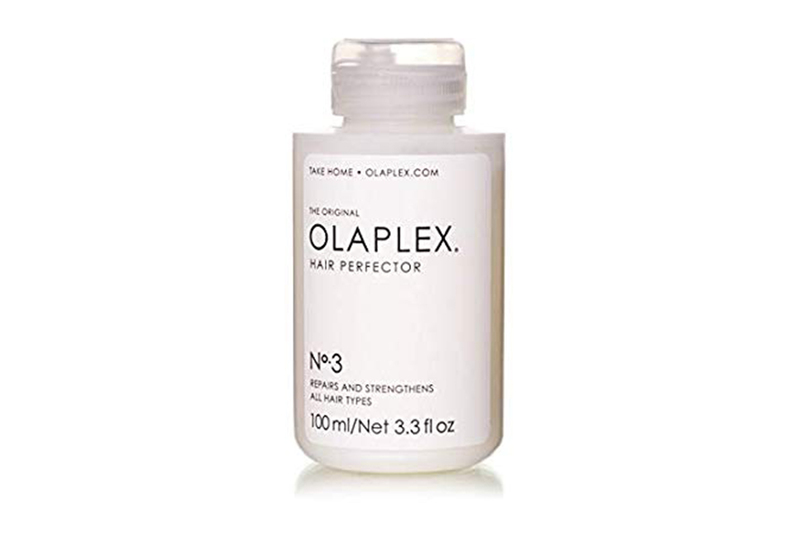 To find and add other Olaplex products to a hair care routine, check them out here! See it: Try the Olaplex Hair Perfector No. 3 Repairing Treatment for just $28 on Amazon! Please note, prices are accurate at the date of publication, January 25, 2019, but are subject to change. This hair perfector claims to strengthen hair from within to help improve both the look and feel of damaged hair, restoring and improving texture and shine. It was invented by two top chemists and calls itself the first of its kind with this specific technology. This at-home treatment uses the same key ingredients as salon products so its users are given the chance to achieve the same results in their own shower as they would with their head tilted back into a basin at the salon. Much more comfortable! Specifically, the Olaplex bond-building technology claims to relink broken disulfide bonds caused by chemical, thermal and mechanical damage to the hair. This means we’d be able to enjoy everything we love about bleach, curling irons and flat irons without dealing with the icky after-effects they often bring. Shoppers can’t stop running their fingers through their now-treated hair. One shopper who had “extreme” breakage bad enough to make them cry reported that they noticed a difference after just one use of Olaplex No. 3. Over 2,000 other shoppers also reported on their results on Amazon, and we’re seeing the word “wow” a lot! That’s definitely a good sign. It’s been described as a “miracle worker,” and one impressed shopper was thrilled by how often they can now change their hair color without worrying about strands, or worse, chunks, falling out during washes. Using this perfecting treatment is super simple. Just apply a generous amount to towel-dried hair, combing through to make sure it covers every strand from top to tips. It’s suggested that we leave it on for a minimum of 10 minutes, though if we leave it on longer, it’s said to be even more effective. It really all depends on how much help our hair needs! When we feel it’s been in long enough and our locks have soaked up the goodness, we can just hop in the shower, rinse it out and follow with shampoo and conditioner as normal. Easy, right? Even easier is that it can be applied only once per week, though if our hair is feeling extra compromised or if we have a special occasion coming up, we can use it more often, as needed. A big thing we look for in hair products is that they’re free of sulfates, silicones, parabens and phthalates. Products with these ingredients may seem nice the first time we use them, but ultimately, they may cause more damage to our hair than we began with. Olaplex No. 3 doesn’t have any of these sneaky baddies, and it’s cruelty-free! What’s not to love? Many shoppers have worried that Olaplex won’t work well for their specific type of hair or damage, but it claims to benefit all hair types, regardless of their natural or unnatural quality. The treatment’s users say that it’s great for color-treated and non-color-treated hair, as well as straight or permed hair and beyond. There’s a reason it’s been referred to as a “unicorn treatment!” It seems to work magic! See it: Try the Olaplex Hair Perfector No. 3 Repairing Treatment for just $28 on Amazon! Looking for something different? Check out other luxury hair care on Amazon here! Please note, prices are accurate at the date of publication, January 25, 2019, but are subject to change.